The Vice Collection three-piece Candy Bento Box®. 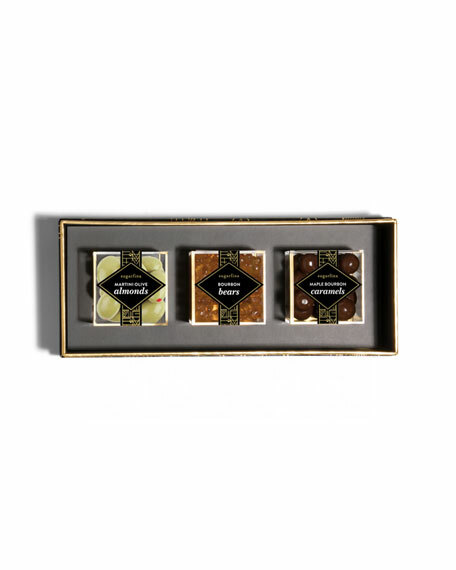 Three Lucite® cubes filled with Martini Olive Almonds, Bourbon Bears, and Maple Bourbon Caramels. 9.5"W x 3.25"D x 2.75"T.
For in-store inquiries, use sku #2497602.